He’d like to add a gold to that collection. The pursuit of that begins Monday as Shymansky, the defending WPIAL Class AAA singles champion, opens the Section 3-AAA singles tournament as the returning champion and top seed. He also is seeking a fourth consecutive section singles title. “For individual and team, finally winning states would be huge,” Shymansky said. The top four finishers in each section advance to the WPIAL tournament, which begins April 15. The PIAA finals are May 24 and 25 in Hershey, after the conclusion of the state team tournament. Shymansky, a Yale recruit, advanced further up the WPIAL totem pole each of his first three seasons at Fox Chapel. He finished third in the WPIAL as a freshman and second as a sophomore before getting the title last spring. But a PIAA championship eluded him: he was runner-up in 2016, didn’t place in 2017 and took third last season. Although he sat out of Fox Chapel’s three matches this week with an injury, Shymansky said he’ll be ready to go come Monday. He hasn’t dropped a set this season, but he knows the difficult competition begins now. Shymansky also is leading the way for Fox Chapel’s team: The Foxes (8-0), who won the WPIAL Class AAA championship each of the last three seasons with Shymansky at No. 1 singles, are undefeated. 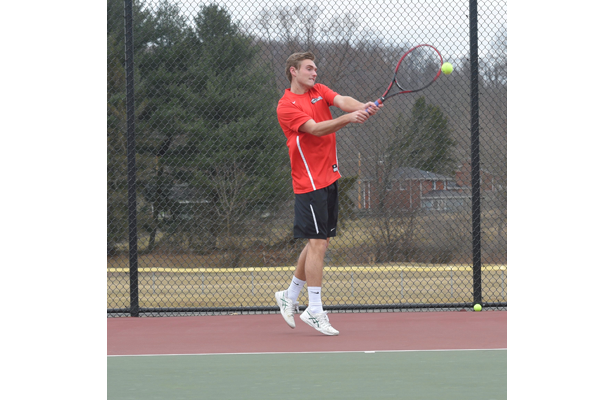 Five of seven starters returned from last season for Fox Chapel, including Shymansky, Jared Nord and Milo Barron at singles and Jay Kashyap and Brandon Wei at doubles. Shan Hassan and Clay Quackenbush are new starters at doubles for Fox Chapel, which finished second in the state in 2016.